David Searns and Brad Smith will be speaking at Staffing World in October! The next session of “Summer School” is July 17 at 2 p.m. EDT. Contact your Marketing Advisor for more information and to sign up! 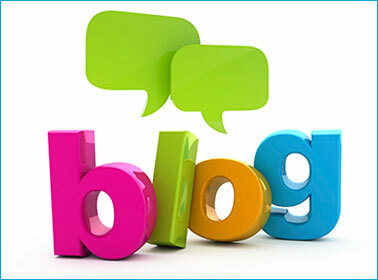 Does your staffing firm need a blog? Think blogging is just for fashion fanatics, foodies, cyber geeks, and moms? Think again! If your staffing firm hasn't tapped into the power of blogging--you are missing out on thousands of website visitors and much better Google rankings! In this eBook, you'll find out why blogs are one of the most powerful online marketing tools for generating job orders and candidate referrals. Plus, you'll see the actual Google analytics results showing the dramatic impacts blogs have on web traffic. How many sales leads did your website generate last month? Is it radically lowering your recruiting costs? Is it creating the right first impression of your business? Your website should be your most dedicated sales person-- selling for you 24 hours a day, 7 days a week! At Haley Marketing, we track results on more than 250 staffing websites. In this webinar, we'll show you exactly what you need to do to create a great staffing website. You'll see which content and features your clients and candidates really want--and how to design your site to make a tremendous impact on your sales and recruiting efforts. A great example of a blog is our very own Ask Haley Blog. Check it out! Shareworthy service is for internal customers too! How do millennials find your staffing firm? Stay on-top-of marketing advice and support for your marketing firm. So how do you like our new look? We've refreshed our Idea Club design to give you more information in less time. Please let me know if you like the update. And if you have any sales, marketing or recruiting challenges you'd like to discuss, we're here to help! Just shoot me an email, and we can schedule time to talk.